← Thanks to the snow gods! 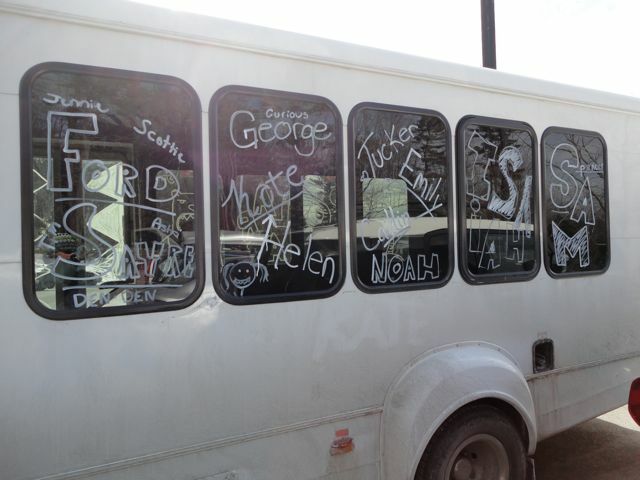 Preparing for ski races not only involves being rested, fast skis, and good coaches, but also team spirit. In order to ensure that we had enough this weekend the girls decided to dye a strip of their hair blue. It was quite a complicated process involving bleach, shower caps, and blue bathtubs, but in the end the result was worth it. The blue should last for several weeks, so identifying us should be quite easy. In order to be all in for team spirit we managed to convince Scottie and Jennie to temporarily dye their hair. At our organizing team dinner at the Montshire we gave them each a blue stripe as well. Decorating the van before the final eastern cup has been a tradition for many years. On Friday before practice many of us did so. 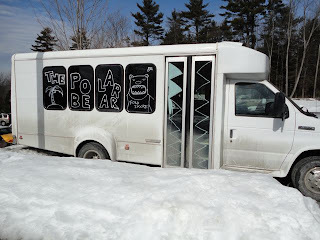 With a window marker we wrote this years van’s name “the polar bear” on one side and all of our names on the other. 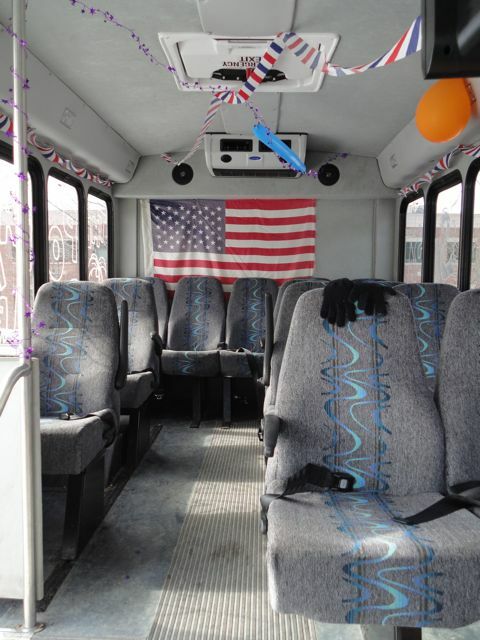 The interior was adorned with streamers, balloons, and even an American flag. Ultimately it was quite a masterpiece and we were very proud of it.